It's been quite some time since I posted here. I really don't have a reason for that, even though, there was lots of things I could have shared, but, I didn't. Though, I've been a bit busy off late with some of my responsibilities (both personal and professional), one thing never took a backseat, and that's my love for gardening. I've been gardening all the time, and as I said in the last post, there are lots of things happening at my rooftop garden, more importantly since winter has set it. This time around, it's the dianthuses that I bought and planted in pots. None of the plants grew quite big, all three of the four saplings I bought, and which survived, are blooming now. Though the colours, were a bit disappointing after expecting to get varied colours, I suppose, the results are not as much disappointing. 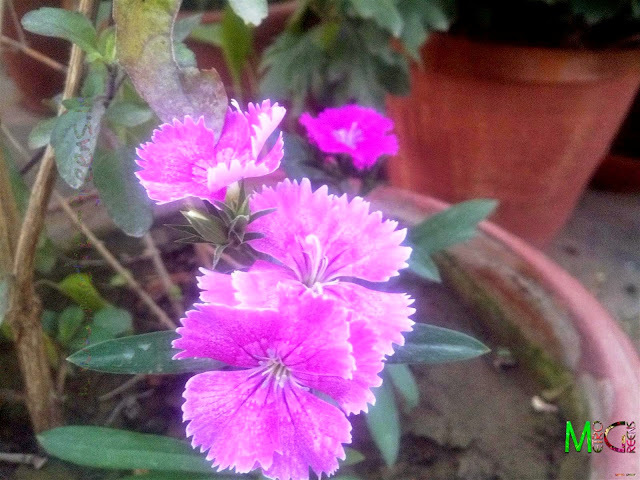 The pink dianthuses are adding a bit of colour in my garden, which these days are beautified by the return of the blooms of the red and the pink roses, the orange and the yellow marigolds. And there are literally hundreds of chrysanthemum buds in the 5-6 pots having chrysanthemum plants, and most of them will be blooming within a week's time, atleast the orange ones will. 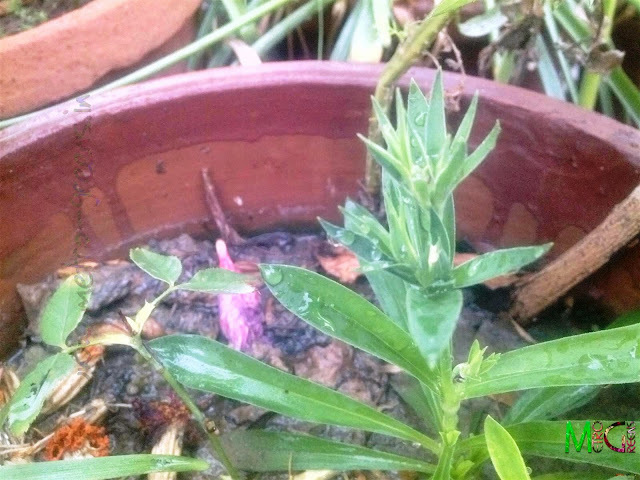 The small dianthus plant bearing the flower buds. 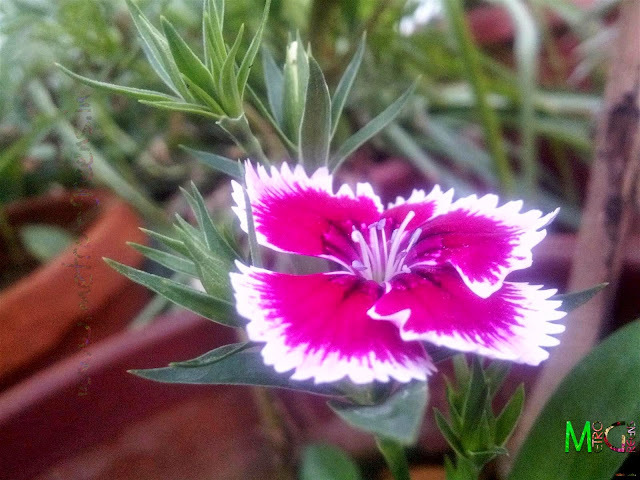 Another dark-pink dianthus bloom, with a white ring outwards. 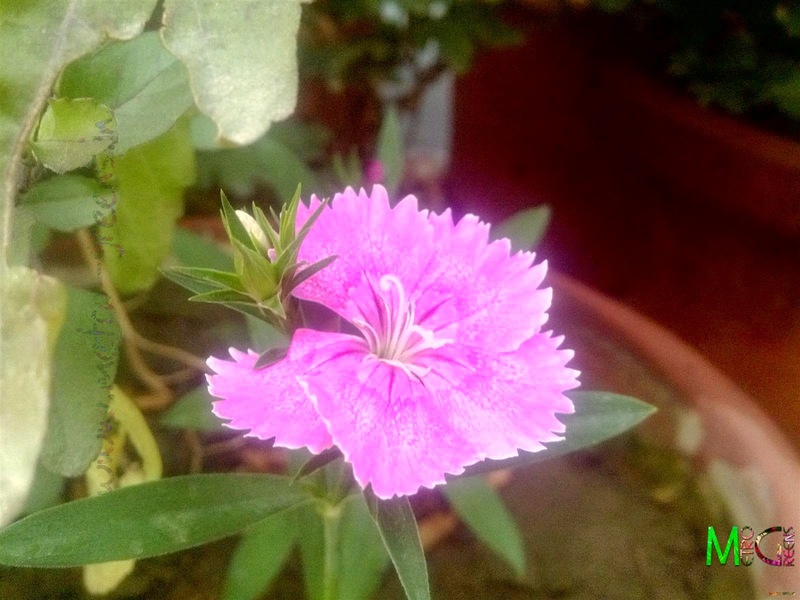 Pink dianthus blooms, two different colours in different plants. 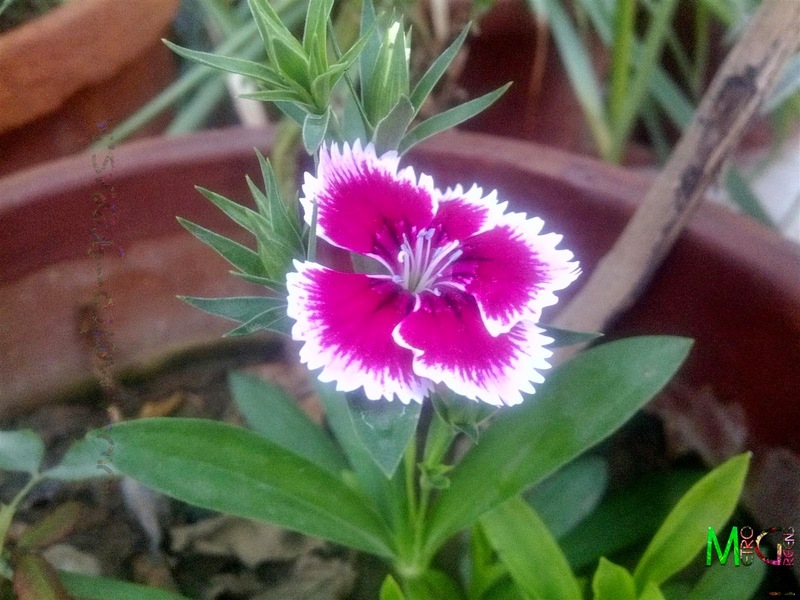 Here's some shots from the dianthus blooms my garden has got. Dianthuses are pretty beautiful looking plants as the variety of colours and patterns these plants are available in, makes them perfect for beautifying the front porches, sides of walkways. Since I have limited space, I can't really get on the great colour effects I've seen dianthuses showing, but anyways, I can enjoy whatever colours these plants provide in the limited numbers. The next installment this month, will be cover my chrysanthemum plants bearing hundreds of buds and I'm expecting a colour riot right on my rooftop, hundreds of cream orange and white coloured chrysanthemums blooming in my 5-6 chrysanthemum pots. It'll be a scene worth experience, and worth a year's wait. I'll be back, right before the month ends, to share the development in the chrysanth blooms. Such a beauty! Nature has its own beauty. The bi-coloured pattern on the flower itself is very interesting. Loved them. Yes, Nature never ceases to amaze us. Last year, I had another set of diantuhses, and it too was awesome. And then there are ghazanias, available in as many colours as you could expect. Thanks for stopping by.